First of all, HAPPY NEW YEAR! There is nothing like the fresh start of a brand new January to inspire us and remind us of our goals for the coming year. For me, health is always the starting point; health is wealth. When we are feeling our best is when we can seriously crush our goals and reach new heights. This year I did something different. I wanted to share some tools that I revisit when I need to hit the reset button on my health. I teamed up with my friend and holistic nutritionist, Brooklyn Belanger, to create a program that resembles our sustainable and holistic version of a ‘detox’. We named our program the “Vibrant Health Intensive.” Doing this program has brought up a lot of thoughts for me and I wanted to share them. This word is incredibly powerful and is SO attractive. Who doesn’t want to jump on a juice cleanse every year and feel and that by doing so we’re effectively cleaning out our bodies from all the nasties we’ve been exposed to? Detoxification is actually a process that happens within our bodies every single day. It isn’t only when we’re taking ‘detox’ tea or doing a juice cleanse that we detoxify, it is happening alllllllllll of the time. Collectively, we are becoming quite aware of our exposure to toxins and how this is affecting our bodies, so naturally, we crave ‘detoxification’. The truth is that if we all ate a perfectly balanced whole foods diet, avoided alcohol and sugar, stayed well hydrated and avoided all of the 8,000 known chemicals that are currently circulating in our environment, the term ‘detox’ would be unheard of. However, unless you are living under a rock, you are exposed to toxins and likely, too many for your body to handle and the need to get rid of them is high. But is a month of ‘detoxing’ (AKA aiding our bodies in the process of detoxifying itself) going to make a difference if no lasting changes are made moving forward? We need to re-frame the meaning of detox to be something that we consider via the hundreds of tiny decisions we make everyday. The key is awareness! We have to be incredibly conscious of our consumption and exposures if we don’t want to overwhelm our bodies. It’s sad, but true that in the world we live in it’s actually much harder to avoid toxins than it is to absorb them. They are hiding everywhere; our water, our personal care products, our cleaning products, off-gassing from our furniture, in food packaging and the vessels we eat and drink out of, in the air we breathe and especially in our food chain. It is especially when our bodies are overwhelmed that we begin to notice that we feel fatigued, skin conditions arise, allergies worsen, our digestive system slows and we feel a brain haze that leaves us even less equipped to make proper choices. During a detox program you will likely become acutely aware of what you would normally eat during the day. Things that you might have done mindlessly, you will now become aware of. In our program we encourage you to first become aware of your exposures. Asking yourself the following for example. How much sugar, dairy and grain am I consuming? These foods are inflammatory in nature. Am I consuming enough vegetables and fruit? What is in my personal care products/cleaning products? Are there heavy metals in my water supply? Am I exposed to chemicals in the workplace? Do I eat/drink out of plastic containers? Am I exposed to agricultural chemicals? What healthy habits are sustainable for YOU and make you feel amazing? Avoid inflammatory foods and eating a mainly whole foods diet 80% of the time. Equip yourself with a long-term vision for your life; what do you want your health to look like? Remind yourself of these goals everyday and attain the health that you truly desire. 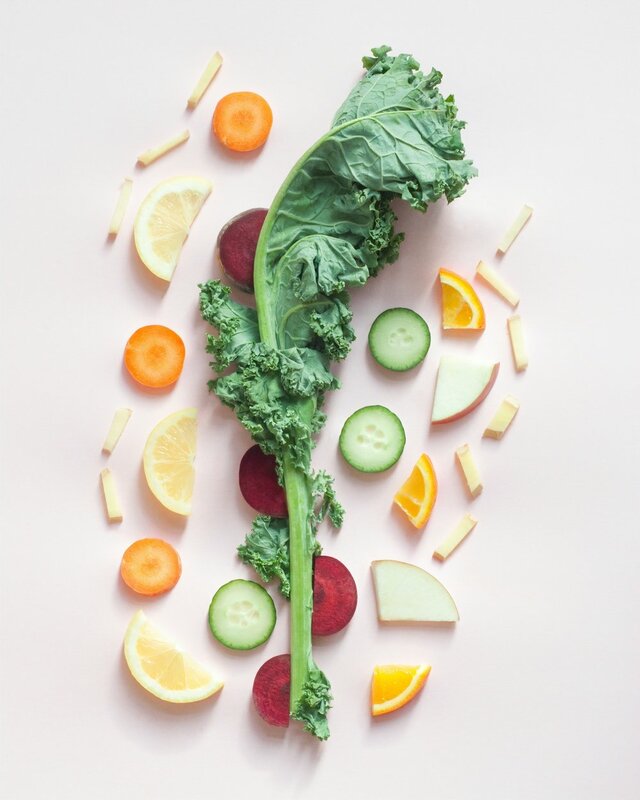 A month-long ‘detox’ or fad diet isn’t going to help you out in the long term. It’s about navigating your world and making those healthy habits that work for you!